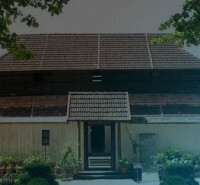 ATDC – Alleppey Tourism Development Co-operative Society Ltd., is the premier body in the district of Alleppey, Kerala for the promotion of tourism. 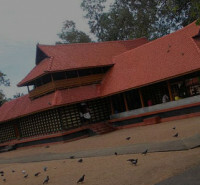 It was the first Co-operative movement in Kerala for promoting tourism, started in 1987. ATDC has more than 100 members. Its current president is Sri. G Mukundan Pillai and the secretary is Sri. T G Raghu. ATDC has gained a unique position in Kerala’s tourism arena as the organizers of India’s first elephant rally on 11th August 1989 and the first motorboat rally on 12th August 1990. ATDC has also initiated many festivities and functions which later served as precedents for the State Government to make those a regular feature of Kerala’s tourism calendar. 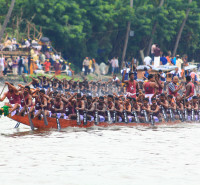 ATDC also arranges cultural performances (Kathakali), Snake boat races, Elephant march etc. for the tourist groups. The infrastructure backbone of ATDC such as the Houseboats, Luxury Cruisers are owned and maintained by Kerala Backwaters Pvt. Ltd.; established in 1995. 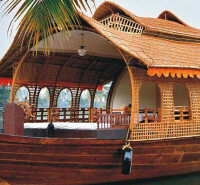 Kerala Backwaters has a fleet of 15 boats stationed at Alleppey. The fleet includes Sanchari luxury cruiser with a seating capacity of 40 persons on top, shuttling between Alleppey and Quilon every day during season time. A.T.D.C owns a new luxury cruiser named “ Safari “, which is also having a capacity of 40 persons on top.